Nilgiri Hills are also known as Blue Mountains in India. 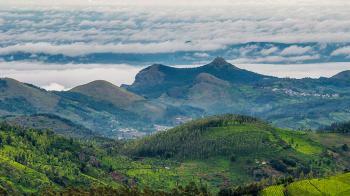 The best time to visit in Nilgiri Hills in winters from October to March. In Summer : The temperature in summer is 20 degree Celsius to 35 degree Celsius. In winter : The temperature in winter is 11 degree Celsius to 25 degree Celsius. By Air : Coimbatore International Airport is the nearest airport. The distance of this airport is 105 km from Ooty. By Rail : Ooty Railway Station is the nearest railway station. By Road : Ooty is well-connected to all major cities.